Exclusive interview by James Slater – Philadelphia’s Gerald Nobles was a noted power puncher during his 1995 to 2007 pro career. Well known in the gyms as a man who would really make the top heavyweights he sparred with work hard, Nobles was himself unable to secure a world title shot. “100-percent frustrated” over this years into his retirement, “The Jedi,” as Nobles was called, says today he is certain he would have won at least a portion of the world title had he been afforded the opportunity. Q: You are well known in the fight fraternity for having been a rough and tough sparring partner who worked with the very best. Can you list some of the big names you sparred? Q: You knocked down the rock-chinned Oliver McCall during a sparring session? G.N: “Yeah, I put him down, I knocked him down – down, not out. It was in Ohio. I was with Don King at the time and I was working with McCall. He was easy work for me, real easy work. I was pretty quick and I beat him up. I was quick and I also hit hard – I could get from A to B. As a matter of fact, [Mike] Tyson’s sparring partners, they would tell me to my face that I hit them harder than anyone else ever did – Tyson included. You can ask these guys yourself. But that’s why they didn’t wanna fight me for real. Q: What makes a great puncher? Q: Your sole loss came against Nikolai Valuev, when you were disqualified in the fourth-round. What happened? Q: If you had been granted a world title shot, who would it have been against? 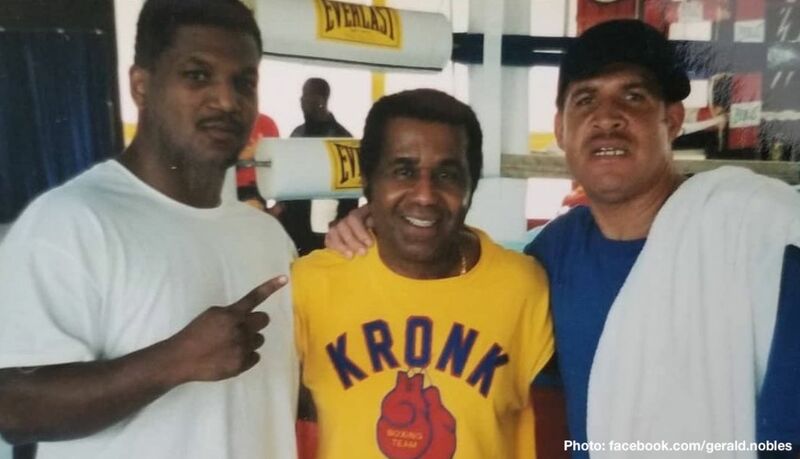 GN: “At the time I was the closest I ever came to getting a world title shot, after I beat Bruce Seldon; I broke his ribs, there were four guys [who held a world title]: Chris Byrd, Lamon Brewster, John Ruiz and Oleg Maskaev. I’d have fought them all on the same day! But they would not face me. I’d go to camp to spar a top contender, say a Fres Oquendo, and all the top trainers would be there. They’d see me work him over and they’d think, no way am I letting this guy in with my fighters. It is who you know. It’s the same with a lot of things in life, not just boxing. Q: Did Don King not do anything to get you the big fights? Q: Who gave you your “Jedi” nickname? Next boxing news: So Which Welterweight Champ Has It “Easiest” In His Next Fight: Spence Or Crawford?